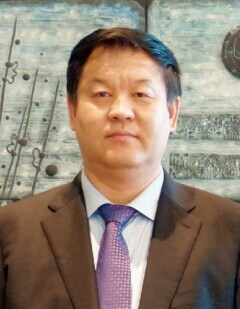 Mr. Zhang Bin, member of the 12th National Committee of the Chinese People Political Consultative Conference (CPPCC), President of the China Cultural Industry Association (CCIA), Managing Director of the National Animation Game Industry Base Management Committee and Chairman of Millennium Golden Eagle International Media Company. Since his appointment as the President of China Cultural Industry Association, Mr. Zhang Bin has been taking great initiatives at building high-level international exchange platform, enhancing the global influence and promoting of Chinese culture and leading its drive of going global. He has successively paid courtesy visits to key officials of different international organizations, including Mr. John W. Ashe, President of U.N. General Assembly, Mr. Vijay K. Nambiar, U.N. Under Secretary General, Ms. Irina Bokova, Director General of UNESCO and. Mr. Francis Lorenzo, President of the International Organization for South-South Cooperation, etc. Mr. Zhang has therefore won strong supports from the international society. In November 2013, spearheaded by Mr. Zhang Bin, CCIA attended the 10th Montreal International Game Summit (MIGS) representing China as the Guest Country of Honor. MIGS organizer lauded the resounding success and unprecedented scale for the decade-old event, thanks to the participation of CCIA. In May 2014, President Zhang Bin organized Chinese cultural industry delegation to attend the inaugural MICSUR (Mercado de Industrias Culturales del Sur), and cemented the collaboration mechanism between China and 10 South American countries in cultural industry; before the opening of World Cup Brazil, Mr. Zhang Bin unveiled "China Cultural Industry Theme Exhibition" in Rio Grande do Sul of Brazil to showcase China’s cultural industry to the entire South American region, and signed strategic cooperation agreement on cultural industry with the governor of Rio Grande do Sul. The ground-breaking move has generated enormous response in Brazil. In memory of Dr. Norman Bethune’s spirit of internationalism, and to encourage the higher educational institution to foster more medical talents who will make positive contribution to the Sino-Canadian relationship, and eventually benefit the mankind, Mr. Zhang Bin has set up the "Zhang Bin-Niu Gensheng-Bethune Fund" in University of Toronto, Dr. Bethune’s alma mater. In parallel with the development of CCIA, Mr. Zhang Bin and his team are making the best efforts in attaining the flourishing of China’s cultural industry.